After a week away from blogging (because yes we deserve holidays too), I am back honey and with a bang of course! Introducing to you all, the super-talented singer/songwriter and newcomer to the scene Ms. Debrah Rose! Read more about the new talent to emerge on the scene below. 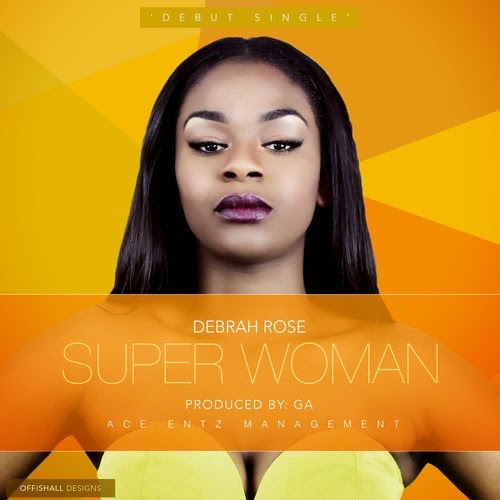 Afro-Soul singer, songwriter Debrah Rose, debuts her first single titled ‘Superwoman’ which has officially released today! Rose, who is based in the UK has already been commended for her songwriting skills, gifted in turning her stories into songs. Having drawn influences from musical heavyweights such as Asa, Lauryn Hill and Mary J. Blige, the power in Rose's voice captivate listeners far and wide. Debrah Rose is a talent that will only rise throughout the course of 2014 and within the new year. Kick off your weekend with the sounds of Ms. Debrah Rose, and get familiar with her - because she'll be around for a very long time. Remember where you heard her first! Peep her debut single ‘Superwoman’ below where she infuses English with her native language of Yoruba in the GA produced joint! Enjoy the track available for free download here.